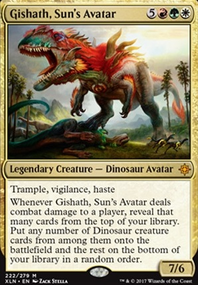 If possible I'd consider swapping out the Crushing Canopy s plus the multani's or something for a couple copies of both Thrashing Brontodon and Kraul Harpooner . Just a way to cover the same bases while adding to your critical mass of chonkers. New Vivien, Champion of the Wilds might be a sweet include in this also when she becomes available. That said I think the best avenue for improvement would be the sideboard. There aren't any popular decks that are gonna have consistent targets for Broken Bond or Plummet when it matters and I'm not sure what matchups Silhana Wayfinder and the twins are coming in against. 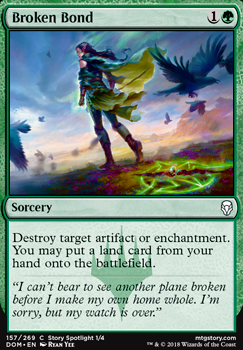 Cards like Thrash / Threat , Sorcerous Spyglass , Shapers' Sanctuary and Find / Finality seem like decent sideboard options. I'm not a fan of Broken Bond . I think it's going to be a blank way too often. 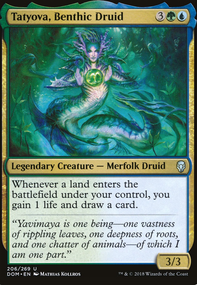 Would much rather run a card like Qasali Pridemage , Oblivion Ring or Knight of Autumn /( Reclamation Sage if you're on a budget). sub780lime on Is this any good? 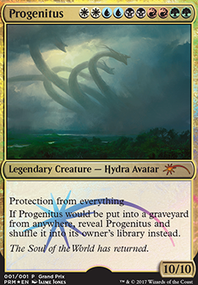 You've got a lot of mana utility artifacts, but none of the true group hug artifacts. Ghirapur Orrery is a cheap group hug card. Horn of Greed is a better card, but Horn of Plenty is much cheaper. Otherworld Atlas is nice because you control how much value it adds and can look to use that in politicking. Temple Bell tops $1, but it also fits. As for removals, I'd drop Price of Progress . 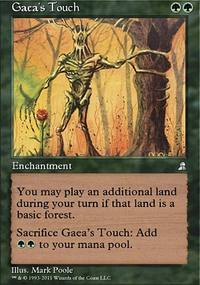 I'd drop Sylvan Reclamation in favor of Broken Bond - cheaper and you need that removal to be quick. You are running every possible signet, but you don't need the reds and blues as much because your curve is half the size there. Some of those could go.